WordPress - Learn Why I Love It And You Will Too! I write about WordPress, Web Design, Internet Marketing, SEO and more. Get useful information delivered write to your inbox to help you on all aspects of starting, growing, maintaining and managing your website. P.S. I'll never sell or distribute your email address. Why I Love WordPress… And You Will Too! WordPress is a powerful, easy to use, online software platform used by small businesses and Fortune 500 companies alike to build awesome websites and blogs. With WordPress YOU can manage your own content with no technical knowledge or programming required with it’s built in content management system (CMS). Why Is WordPress The Best Choice For My Website? For starters, WordPress makes it affordable for you to get a modern website up and running fast without breaking the bank. It has an easy to use interface that’s simple and intuitive. It is both approachable and powerful whether you’re a professional or novice. WordPress is scalable, start small, get big and add functionality, as you need it. I’ve done websites for a long time, using all sorts of tools, but I must say WordPress provides the best experience for everyone involved in your website. Morten Rand-Hendriksen staff author at lynda.com and the Director of Pink & Yellow Media Inc. says it best in his article. WordPress is not a fill in the form, automatic site builder solution offered by many web-building services. These services often provide websites that are; poorly coded, not search engine friendly, not mobile responsive, have limited design and feature options and usually end up costing more in the long run. These services may be ok for a personal site to share with family and friends, but not for your business. WordPress is not just a blogging platform. It has evolved into a robust CMS that competes or exceeds popular competitors like Joomla or Drupal. The bottom line is WordPress can handle the requirements of almost any business or organization. My Top Ten Reasons For Using WordPress To Build Your Website. Create and update pages or posts with ease, manage your media and more, all from an intuitive online interface called the “Dashboard”. If you can use Microsoft Word you’ll be right at home when it comes to editing your content. WordPress is open source (free) online software built and supported by a huge community of developers. An out-of-the-box installation of is fully compliant with W3C (World Wide Web Consortium) standards. I take my sites a step further by using the rock solid web framework Genesis. WordPress uses themes to control the look and presentation of your site and 3rd party plugins to provide all kinds of functionality from e-commerce to event calendars to you name it. Since your content is stored separately you can change your theme without having to start over entering your content. This makes updating the look or design much easier. Your website can be extended or customize your site to do whatever you want it to do. Easily add all types of media including audio, video, images and more, but just pasting a URL. This is an area WordPress really excels in, allowing you to also manage and sort all your media files. You need to be found and get indexed on Google, Bing and other search engines. The way WordPress is built gives it great search and share optimization right out of the box. Add the Genesis framework and plugins like WordPress SEO and you have a great start on your search engine optimization efforts. I can’t stress enough the importance of having a mobile responsive site. The world is going mobile and it’s moving fast. The majority of web visitors will be looking at your site from their phone or tablet. Mobile will overtake desktop by 2017 or sooner. You need to be mobile ready or loose out. WordPress makes it easy. Because WordPress is an open source community-supported platform, it is continually being updated and improved by the same people who use it. No site will last forever, but by keeping WordPress sites updated you will always have the lasted technology and code. Through the use of themes, specifically child themes, you can update the WordPress core and the parent theme without messing up your site. Combine this with the extensibility via plugins and your site can last a good long time without having to reinvest big $$$. WordPress and Genesis combined provide a great security foundation for your site. Add in a secure hosting service, a security service and/or plugin, along with an advanced backup plugin or service and you can rest assured that your site is safe and secure. Let you site sit idle without these and your asking for trouble in the long run. WordPress is one of the best, if not the best platform for your website. For ease of use, extensibility and blogging it is second to none. Growing in popularity as a content management system (CMS), WordPress is used by 60.2% of all websites whose content management system we know. This is 22.4% of all websites. With WordPress running your website you’re in good company with some of the biggest brands in the world. That blows away the myth that WordPress is just a blog and underpowered for large companies. My only advice or caveat for you is do not let your website sit idle. Keeping the WordPress core, themes and plugins updated and backed up is very important, ignore that and you’re asking for trouble, including getting hacked. The tools, resources and support to make a successful web site have come a long way. If you have an old static site or no site at all, I encourage you to take a hard look at using WordPress. It’s very approachable and you can rest assured that the huge support community, including myself, are there to help guide you (or do it for you). With it’s ease of use and advanced features it can do just about anything you will ever need. 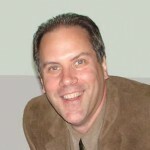 My name is Jeff Richards, I help businesses take their web presence to the next level. How can I help you ? Discover The Pieces of A Successful Website. Build a better WordPress website with the Genesis framework.